Global Marine Support Services from Proteum UK. 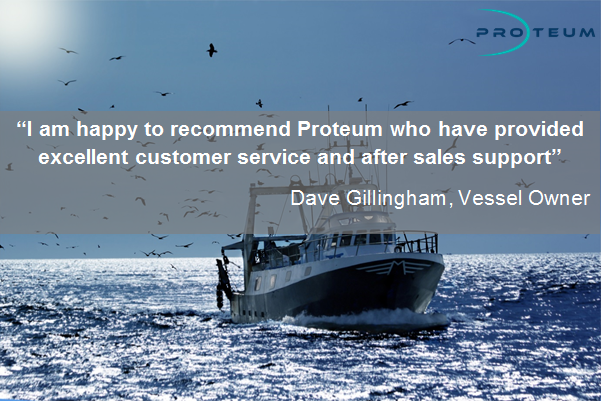 From routine services for your marine propulsion engine to emergency engine refits, you can rest assured knowing that Proteum can offer the service and support that you require. Our team of certified and trained technicians are available for out-of-country emergencies as well as regular marine support services such as maintenance, repairs, installation and commissioning. Please contact the Proteum team today to discuss your support requirements. Regular engine inspections, scheduled oil sampling and planned maintenance procedures – based on operations and maintenance schedules and dealer recommendations – to help predict potential component or engine failures. Comprehensive overhauls at bundled pricing, tailored to your specific application and requirements, using genuine new parts to update and/or restore your marine engine to original performance. Whether you are replacing a severely damaged engine or upgrading to a newer, higher-horsepower model, our experienced team of technicians, product support reps and technical communicators can work with you to determine the power and engine configuration most suited to your requirements. Comprehensive spares supply with a high in stock inventory to support our main line products, we offer a same day despatch on stock items and with worldwide capability. Application advice to ensure you have the right product for the right job. Technical advice based upon deep technical product knowledge. Project planning. As well as employing our own technicians, Proteum also work with a support network of local partners. This allows us to offer a range of on-the-ground marine support services for our customers in the UK and abroad. Wherever you are based, we can get an expert to you quickly. To see where our UK based support partners are located, please visit our Support Network.